Cloud as a test environment for applications is an elegant idea in theory, but needs a thorough investigation of the security and privacy aspects. Contradicted by the fact that different applications to communicate with each other in a complex software environment. In the public cloud these applications run separately on different computers and the data would then be exchanged over the Internet. In the public cloud, but it is not known where the individual computers are located. 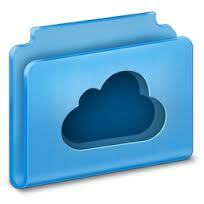 Data theft and liability is the major issues against the usage of Cloud as a Test Environment. Where the application to be tested or data will be used are sensitive. The infrastructure of Cloud is not yet set up for this intensive and sensitive data exchange. To play it safe, companies need to encrypt the entire applications and data – that would be more expensive overall than extending the existing test environment. If it is a “simple” test environment with non-critical data, the public cloud as a test environment is a good choice. The design and implementation of an infrastructure is always a challenge, because here comes together many IT requirements such as security, high availability and load balancing. It is therefore always better to check exactly which areas can not be outsourced to the cloud, and what can be. In the case, the public cloud provides a great test environment, computing resources are required in the short term. For productive operation with critical data on the other hand is more leans towards private cloud in which the company has control over data and applications in their own environment if extra cost can not afforded to use own infrastructure. For example, if an application in the cloud as a CRM system or a website, is available but at too high user response time, this means a lack of quality in the cloud service and thus customer dissatisfaction is expected. For this reason, cloud providers will have no choice but to enter into new, quality-oriented service-level agreements. Thus, at least the performance of applications are important. This Article Has Been Shared 8369 Times! Cite this article as: Abhishek Ghosh, "Cloud as a Test Environment," in The Customize Windows, April 12, 2013, April 25, 2019, https://thecustomizewindows.com/2013/04/cloud-as-a-test-environment/.